Waterloo St. / Wellington St. 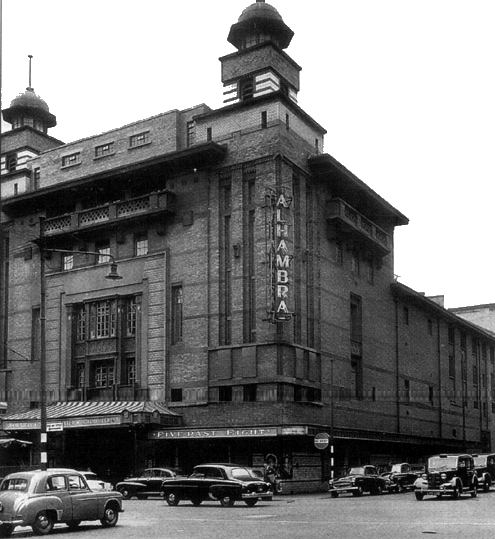 The last big traditional theatre built in Glasgow, the Alhambra opened in 1910, architect J.J.Burnet. Seating was for 2,750 on 4 levels. Originally programmed for variety, it switched to opera, plays and musicals by the mid-20s, then was taken over by Howard & Wyndham in 1954, who already ran the Theatre Royal and the King's. It became host to their spectacular summer variety shows, starting off as the Half Past Eight shows, eventually starting earlier as the Five Past Eight show. Many top comedians hosted this show, including such hot English talents of the day as Bruce Forsyth and Max Bygraves! The sets were spectacular for these shows, each year trying to outdo the last, including giant violins, swimming tanks and a Starlight Room. Scotland's first Royal Variety Show was staged there in 1958. The cost of the summer spectaculars eventually proved too much, though, and the theatre closed with a Cilla Black concert in 1969. Despite a massive campaign to save it, the building was flattened in 1971. 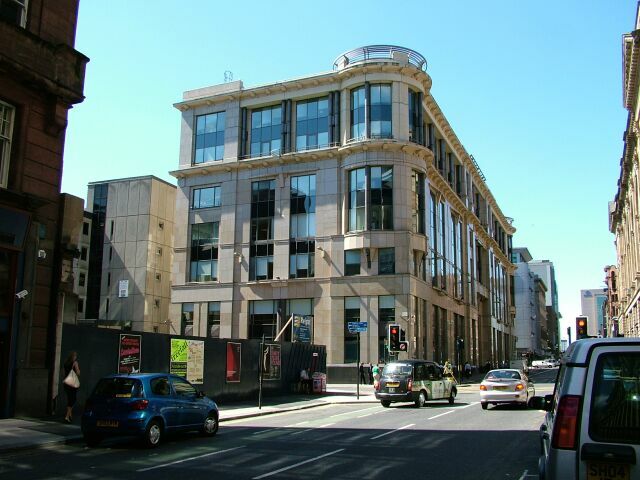 The office block that replaced the theatre was itself called Alhambra House, but it too was demolished in 1996, to be replaced by the one shown below.